The new MEMS system from Murata, the SCA3300 model, is added to the 3 axis sensors. Its main applications are machines and cars. It has the AEC-Q100, which guarantees its reliability and good parameters. The SCA3300 is immune to mechanical damage. Its operating temperature is -40 to +125 degrees Celsius. The value of the system’s nonlinearity error is 0.1%. The system supply voltage is 3.3V and the current drawn by the system is 1mA. The sensor is equipped with diagnostic systems that monitor the reference signals, the interface, the value of the signals and monitors the exceeding of the measuring ranges. 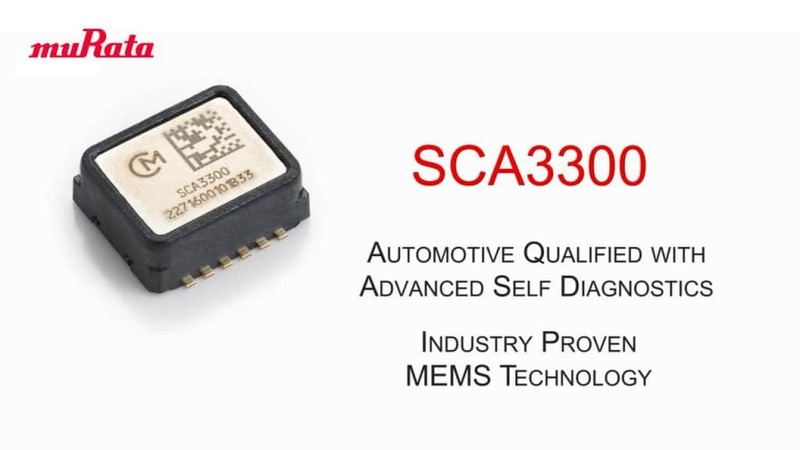 The MEMS SCA3300 is manufactured in SMD enclosures.